This umpire dealt with an invasive 'balloon' the only way he knew how. It wasn't a balloon. 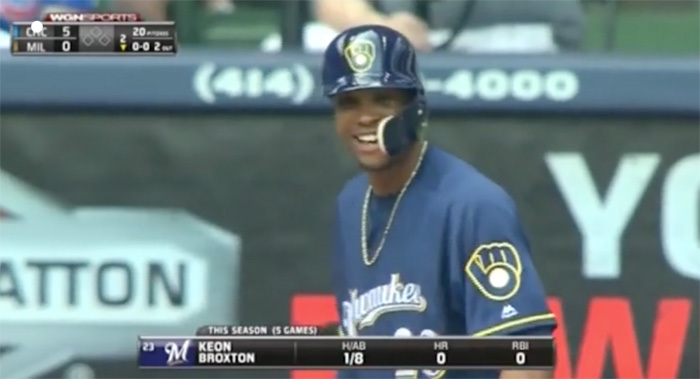 A baseball game between the Cubs and the Brewers on Sunday encountered a minor delay of game when, as the embarrassed announcers put it, "I believe a balloon or something..." whisked onto center field. "It is balloon!" shouted one silly announcer, before the camera zoomed in on the "balloon," revealing it to be an inflated condom, and the announcers went silent for nearly a full 30 seconds. The umpire finally tracked it down and stomped on it, perhaps wisely refusing to pick up the remnants. The batter was fully amused. When life gives you lemons, you make lemonade. 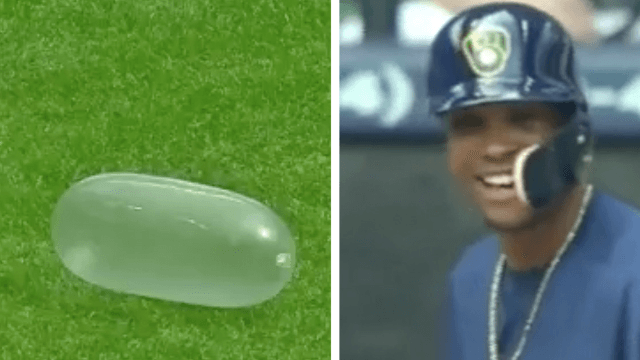 When life gives an umpire an inflated condom, he stomps on it and take a bow.